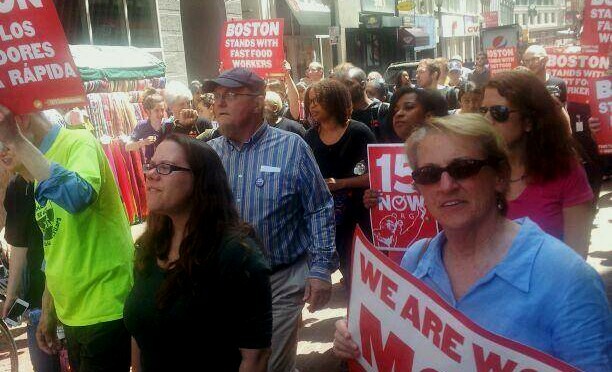 The fight for a $15 an hour minimum wage is heating up in Massachusetts. Thanks to the workers who paused to sign our petitions, 15 Now New England has collected almost all the signatures required by the state to put a non-binding $15 an hour question on the ballot in six districts. Our petitioning events have opened up a dialogue with our fellow workers about the minimum wage and the rising cost of living. 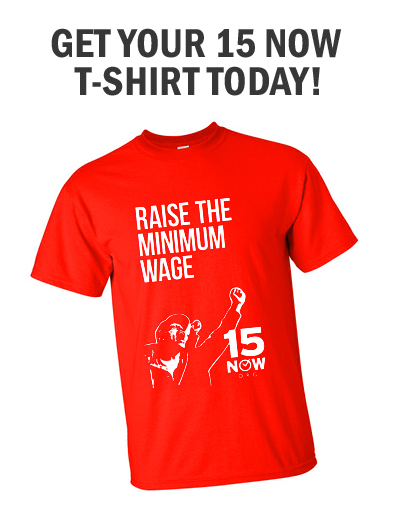 Almost everyone agrees that the current minimum wage of $8 an hour is too low. In Massachusetts, there are several minimum wage initiatives, including Raise Up Massachusetts’s $10.50 proposal and the Massachusetts state senate’s $11 bill. This would be a step forward but only small one. Neither of those figures represent a living wage. In a city like Boston, $15 is just the starting point for livable, and that’s cutting it close. Working people signing our petitions have mentioned this key point to us again and again: they agree with other minimum wage initiatives because any increase is good, but those initiatives don’t even come close to a living wage. That’s why low-wage workers all over the country are demanding 15. To empower the working people of the districts we’re campaigning in and build the foundations of a movement. 15 Now New England has started monthly neighborhood meetings in Boston. Our first neighborhood meeting has been held in Dorchester. Neighborhood meetings in East Boston, Jamaica Plain and West Roxbury are scheduled for next month. We anticipate having some in Worcester and Lowell as well, two cities in which we are also collecting signatures. These neighborhood meetings are open to the broad public. We encourage participants, especially newcomers to 15 Now, to lead the discussion and speak up about community problems. Seattle showed us that empowering working people to take matters into their own hands is the way we can win.